Setanta Vehicle Sales Executive Martin Hough has secured these two recent Renault Truck supply deals with customers from around the country. 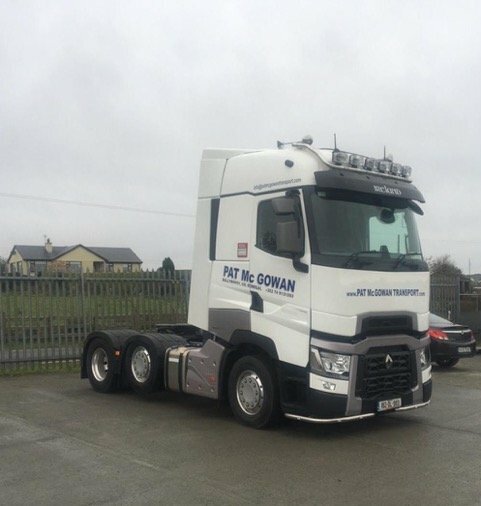 Pictured is a new Renault T High 520, the recently crowned Irish Truck of the Year 2019 at the Fleet Transport Awards and sold to Pat McGowan of Ballybofey, County Donegal. It will operate on continental haulagemainly. It’s the first 6×2 RHD, T High tractor-unit to be bought in Donegal. 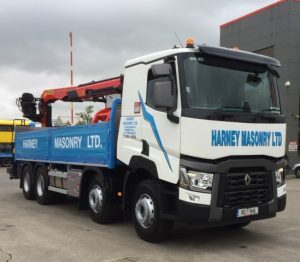 Martin also sold this new Renault Range C430 8×4 rigid to Harney’s Masonry of Moneygall, County Tipperary. 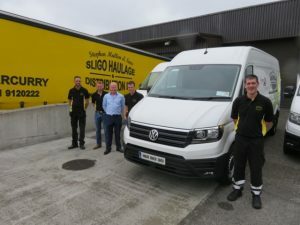 Sligo Haulage & Distribution, the recently awarded Fleet Transport Regional Haulier of the Year 2019, continues to renew its van fleet with the purchase of four new Volkswagen Crafter 3.5 tonne RWD/LWB 2.0 TDI 144 hp High Roof panel vans with Trendline trim level from Connolly’s Volkswagen Commercial Vehicle dealership in Sligo. The high specification also includes: Front and rear parking sensors, Heated windscreen, 8“ touch screen radio with App connect, 270 degree rear wing doors, Front cornering fogs, Comfort drivers’ seat, Cruise control and Multifunction steering wheel.